Getting volunteers, particularly ones that do not have a news background, to adhere to style conventions is a long, long road. But it can be done. You just have to keep educating your universe. At the Diocese of Southwest Florida, we have worked hard to try to have some sort of consistency in our usage, but with 77 parish offices and hundreds of volunteers, it can’t always be done. Part of the booklet are Social Media Guidelines for the Diocese of Southwest Florida. 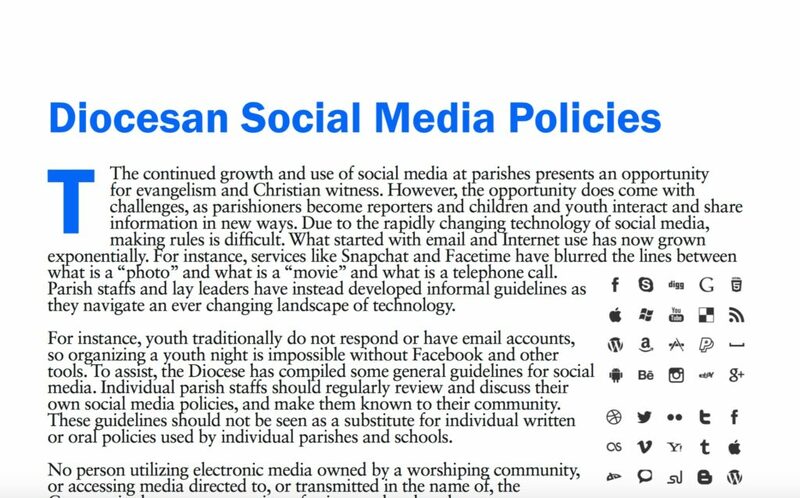 The impetus for this document came from Bishop Dabney Smith, who tasked a volunteer committee to review other diocesan policy documents regarding social media, and then come up with a set of recommendations of our own. A style guide of word usage in the Diocese, including forms of address in the Episcopal Church and Anglican Communion. We hope it can be used by those doing weekly parish bulletins. Social Media Guidelines including best practices on using social media at your parish or ministry group. A section on titles and forms of address in The Episcopal Church and Anglican Communion. The complete Diocesan Stylebook 2016 is available HERE. If you have questions social media and churches, email me or connect on Twitter. DaySpring Episcopal Center is the home of the Diocese of Southwest Florida. Located on the Manatee River, it is a camp and conference center, with outdoors courses, library, dining room, clubhouses, bunkrooms and facilities for religious groups, school groups and everyday folk on pilgrimages. At the center is the history St. Thomas Chapel, one of the early “Carpenter Gothic” wooden churches of Florida. In 2015, the Diocese began a campaign to promote the need for capital improvements at DaySpring. I wrote and produced a video about DaySpring, with help from videographer Derek Berg and John Wilson, the retired anchor for Tampa’s WTVT Fox 13. Using archival footage, new footage and vintage photos, we gave current users a bit of history about the place as well as told the story to potential donors. 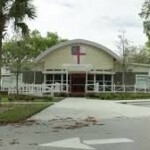 Bishop Smith: Dayspring Episcopal Center History and Vision from Episcopal Florida on Vimeo. Below are some designs for Diocesan Events, either by myself or specifically commissioned through a key freelancer for the Diocese. Christ Is Made is the commissioned work of Ludwingk Rios of Texas. 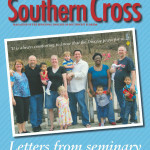 In 2014, I relaunched The Southern Cross for the Diocese of Southwest Florida. It began in 1970 as a simple newsletter, then evolving into a newspaper. At the end of its life as a bimonthly, it was being drop-shipped to parishes, where it was offered for pickup in parish halls and offices. It carried news about the national affairs of The Episcopal Church, as well as local features. We decided as a Diocese to re-launch the publication as a colorful magazine, and mail it out to the households of the Diocese. After collecting over 10,000 names (circulation is now almost 16,000), we completely redesigned the magazine with a slick, full bleed glossy cover and four-color newsprint inside. Because so much news about the church comes electronically, we decided to use The Southern Cross as a window into the best of the Diocese. Upbeat stories on outreach, arts, garden, music, food, culture and finance help parishioners in our churches better understand their lives and mission.